Non-lawyer humans can't read Terms of Service. Fortunately, there's a recording, thanks to Ralph the Talking Computer. On Sunday nights at 8 in New Orleans, Le Show airs on WWNO, but I tune in via podcast. Harry is a funny & musical news junkie. If you, like me, find that a satirical approach can bring interest to dull or fraught material, check him out. I linked his website for you here, but you can find Le Show podcasts on iTunes also. Thanks, Harry. Apple's integrated password management features are part of both MacOS and iOS (for computers and mobile devices respectively). You can not only autogenerate unique secure passwords and look them up easily, but also synchronize updated passwords across all your devices using iCloud Keychain. This is what I use for the most part, even though I do not use Apple's Safari web browser exclusively. Once you know your way around it works pretty well in most instances. I've yet to find a tutorial that is good enough to link to here. Yet. I'll keep you posted. The trouble is the technology evolves rapidly and varies according to your hardware and software version, so it is not one size fits all. You can get get the currect overview of iCloud Keychain here. "Editors note: This is Motherboard's comprehensive guide to digital security, which will be regularly updated and replaces some of our old guides. This guide is also available as a printable PDF. To verify the integrity of the PDF, this is the original file's SHA hash: 2938d3b9b9842ae0763ab0dd27696de3dce0dd96. And this is the PGP signature file, signed with Motherboard's PGP public key." But let's just say we are reading for pleasure. Let's pretend it's science fiction or some other more contemporary artform, this internet, this whole wide world. This is our world, this place on Earth. As Agnes Martin used to say, we are either on the side of life, or we are not! We may as well befriend it. Image: Headlands (Mendocino, CA), 2005, graphite on paper, 40 1/2 x 45 1/2" (103 x 115.6 cm) Photo: Copyright 2017 Alexandra Yakutis. I've made a number of studies of this location, this image which began life as a polaroid print by my friend Lauryl Sabaroff. Two are in oil on canvas. Karin's is Morphine and Scopolamine. Jennie's is Scylla and Charybdis. But this one, it's just fog on glossy water. Hard to draw, so we break it down hard! 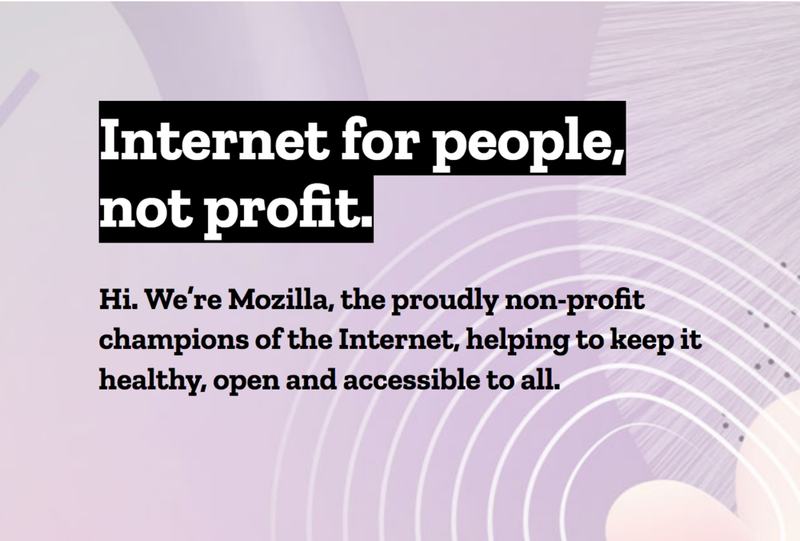 Mozilla is not for profit. There is so much good stuff here. I think you will like it. I respect a non-profit on principle. A non-profit is where I got my start in tech, so I am prejudiced. "MEME The life form of ideas. A bad idea is a dead meme. The transience as well as the spread of ideas can be attributed to the fact that they replicate, reproduce and proliferate at high speed. Ideas, in their infectious state, are memes. Memes may be likened to those images, thoughts and ways of doing or understanding things that attach themselves, like viruses, to events, memories and experiences, often without their host or vehicle being fully aware of the fact that they are providing a location and transport to a meme. The ideas that can survive and be fertile on the harshest terrain tend to do so, because they are ready to allow for replicas of themselves, or permit frequent and far-reaching borrowals of their elements in combination with material taken from other memes. If sufficient new memes enter a system of signs, they can radically alter what is being signified. Cities are both breeding grounds and terminal wards for memes. To be a meme is a condition that every work with images and sounds could aspire towards, if it wanted to be infectious, and travel. Dispersal and infection are the key to the survival of any idea. A work with images, sounds and texts needs to be portable and vulnerable, not static and immune, in order to be alive. It must be easy to take apart and assemble, it must be easy to translate, but difficult to paraphrase, and easy to gift. A dead meme is a bad idea." On the other hand, this little article about how a meme becomes content embarks from the mainstream and breaks it down by example. PS: The pizza hut commercial is funnier. I like Wired magazine. My husband likes the print version, but usually I read it online via links that I get via email. I consistently find something interesting. This article for example. The headline (WIKILEAKS REVEALS HOW THE CIA COULD HACK YOUR ROUTER) is kind of hysterical, but what else is new? The rest of it will help you understand more about what we do and do not have control over when it comes to our activities online, a worthy topic.